State Sen. Leticia Van de Putte, a San Antonio Democrat vying for lieutenant governor, has released three years of federal tax returns. 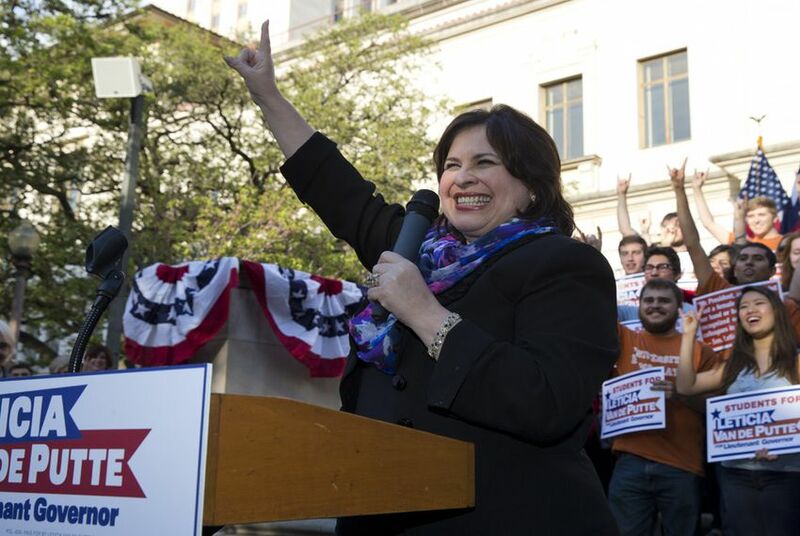 State Sen. Leticia Van de Putte, a San Antonio Democrat vying for lieutenant governor, has released three years of federal tax returns that include $10,200 in gambling losses. The filings show she and her husband, Pete, earned combined incomes between $140,000 and $184,000 from 2010 and 2012. That money comes primarily from their family's flag business. Van De Putte, a pharmacist, reported about $16,000 in earnings from San Antonio's Davila Pharmacy in 2010. In 2010 and 2011 she reported another $32,000 in payments from ADP TotalSource, which her campaign said was related to her work as a pharmacist at Davila. Other income between 2010 and 2012 — about $43,000 — came in royalties from Exxon Mobil's XTO Energy, a company that specializes in fracking. Across that three year period, Van de Putte and her husband reported about $10,000 in charitable contributions. In 2011 and 2012, they also deducted a total of $10,200 in gambling losses. Manny Garcia, Van de Putte's spokesman, said in a statement that Pete Van de Putte often traveled to Las Vegas for business purposes. "Several times a year, Senator Van de Putte’s husband, Pete, visits Las Vegas for trade shows related to his flag and banner business, Dixie Flag, and also for vacations," he said. "Pete likes to gamble, and apparently not very well." Van de Putte will face the winner of a Republican primary runoff, which pits incumbent Lt. Gov. David Dewhurst against state Sen. Dan Patrick of Houston, in November. Dewhurst, who has already released his own federal tax filings, renewed his calls for Patrick to do the same after news that Van de Putte made hers public. “Dan Patrick is now the only candidate for lieutenant governor who has failed to release his tax returns. We once again call on Dan to provide voters with the same level of transparency as every other candidate in this race,” said spokesman Ryan Hecker. “How can the voters of Texas trust Dan Patrick if the senator is unwilling to shine even the tiniest sliver of light on his checkered financial history?" Correction: A previous version of this story gave incorrect totals on the Van de Puttes' gambling losses. Those figures have been corrected and it has been specified that the losses ocurred in 2011 and 2012.